Diabetes is a condition that can be very harmful to many organs in the human body, and the eyes are no different. Uncontrolled blood sugar levels and an insulin imbalance may result in a number of eye diseases that can eventually lead to blindness. The good news is that eye damage can be slowed down if it is detected early enough, while positive lifestyle changes may also help. Read on to find out how they affect the eyes and what you can do to avoid any complications. This is the most well- known diabetic eye disease and affects 93 million people across the world. In the early stages there are very few symptoms, which can make it especially dangerous. It is caused by damage to light-sensitive tissue at the back of the retina, resulting in blood vessels bleeding and vision becoming distorted. The biggest risk factors for developing this disease are disrupted blood sugar levels and the length of time a person has suffered with diabetes (people with type 1 and type 2 diabetes are equally as affected). Due to the lack of symptoms, it is essential that all diabetic patients have a dilated eye examination at least once a year to check for any signs of the disease. Luckily, there is evidence that risks can be reduced by early blood glucose control, and adherence to diabetes medication. 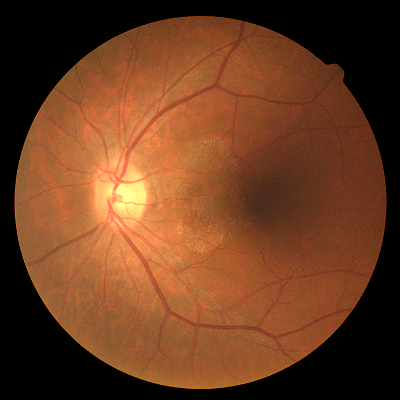 Diabetic macular edema can only occur in the presence of diabetic retinopathy. It is a direct consequence of the increased fluid caused by damaged blood vessels. This fluid reaches the macular area of the retina, resulting in swelling and blurred vision. Laser Photo-Coagulation Therapy – small burns are made on leaking blood vessels to reduce the amount of fluid affecting vision. This usually takes several laser sessions but can reduce vision loss by up to 50%. Injection Therapy – medication is injected directly into the eye area to prevent further vision deterioration. Injections must be scheduled on a regular basis for the treatment to be beneficial. Again, studies show that this is effective in reducing vision loss. While cataracts affect many people as they get older, diabetics have a much higher risk of developing them. Research shows that a person with diabetes is 2 to 5 times more likely to suffer from cataracts than those without the illness. Diabetes causes a large amount of oxidative stress in the human body, and this has been directly linked to the formation of cataracts. 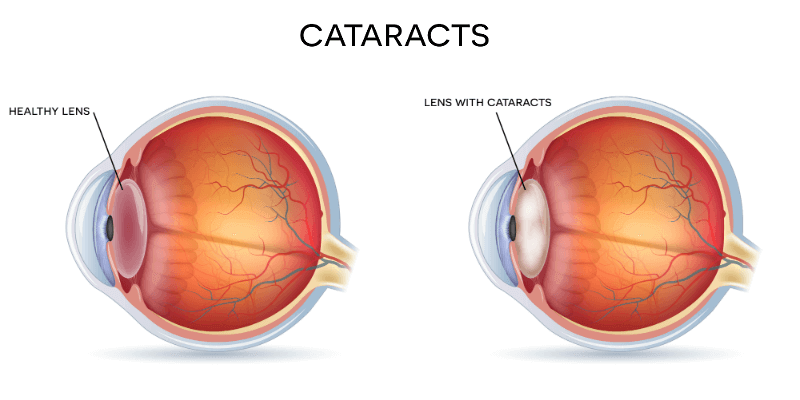 It is because of this damage that cataracts are likely to develop at a younger age than in the general population. Although the current evidence is not conclusive, some research suggests that taking antioxidant supplements may help to limit the problems caused by oxidative stress. In theory, this may also offer some protection against cataracts. 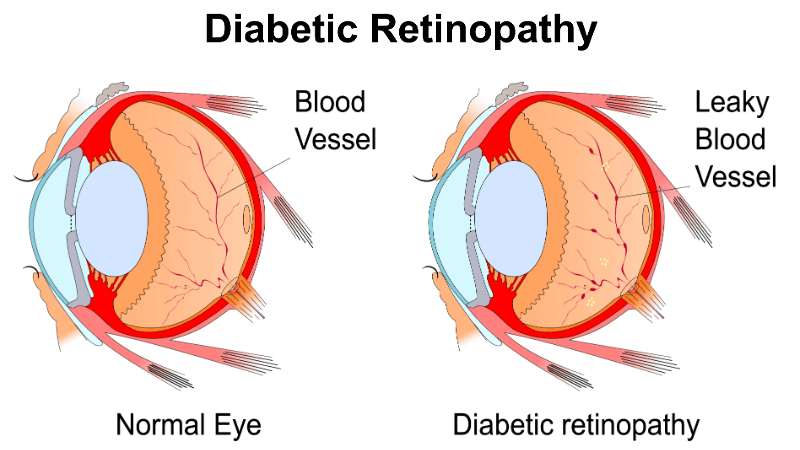 Another known result of diabetes is that it more than doubles the risk of suffering from glaucoma. Diabetics have a 5% chance of contracting the condition, as opposed to a 2% risk for non-diabetics. Again, this is largely as a result of increased oxidative stress. High blood pressure may also be an important factor in the occurrence of glaucoma. Blood pressure can often be raised in people with diabetes, and high blood pressure values are also connected to an increase in the incidence of glaucoma. Unfortunately, it is a fact of life that diabetics have an elevated risk of developing all the eye diseases mentioned in this article. However, any damage and the future prognosis can be much improved by early treatment, vigilance, and maintaining a healthy lifestyle. Be sure to regularly visit your optometrist to ensure you protect your vision, and spot any problems while they are still treatable.